LSTN isn’t your average audio company. The Los Angeles-based enterprise turned head a couple years ago when it started selling sleek wood and chrome headphones. 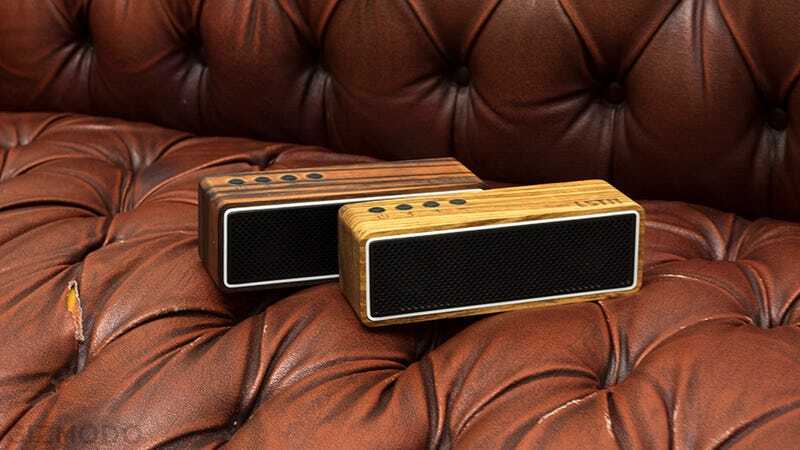 Now, LSTN is expanding into the world of Bluetooth speakers with a very lovely box named Apollo. The $300 Apollo Bluetooth speaker is beautiful. Let’s make that much clear. The wood chassis features a satin finish and bold grain patterns so each one is unique. LSTN says the speaker’s “twin 45mm drivers and dual passive radiators provide hi-fi sound,” though it’s a bit of a stretch to believe that any portable Bluetooth speaker could replace a true audiophile’s sound system. The Apollo sounds a lot like most wireless speakers of a similar form factor: Pretty good for small rooms but not necessarily mind-blowing. What’s especially unique about LSTN products, however, is the fact the company is actually a social enterprise. Any time you buy LSTN product—Bluetooth speaker, headphones, or otherwise—the company donates money to to the Starkey Hearing Foundation, an organization that provides hearing aids to those that need them. LSTN claims to have helped over 20,000 people since launching its sound business. Now about that money issue. LSTN’s new Apollo speaker is not cheap. For $300, you could buy a UE Boom 2 as well as the hilariously disk-shaped UE Roll. Unlike the Apollo those speakers are rugged and waterproof. However, they’re not quite as handsome as the classic all-wood design of the Apollo. And it is quite handsome.